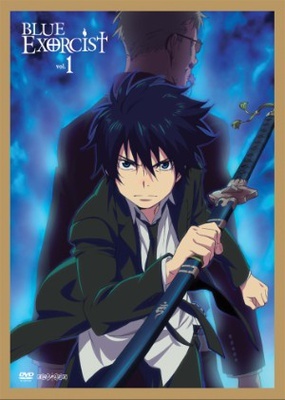 The UK Anime Distributor Manga Entertainment announced yesterday that they have obtained the rights to publish the supernatural anime Blue Exorcist. As of writing a date has not yet been announced though. They have however mentioned on their twitter account @MangaUK that it will be solely subtitled on a double disc DVD (no mention of blu-ray release yet). The anime revolves around the main character of Rin Okumura. He was raised by a famous exorcist named Father Fujimoto, who tells Rin he is actually the son of Satan. After this announcement Rin decides to become an exorcist and rid the world of demons, only hindered by using his fathers sword that unleashes his dark power within. The people behind the series have some great credentials also, as it is directed by Tensai Okamura, the man behind Darker Than Black, and animated by A-1 Pictures who also animated the Black Butler series.